Circuit Check matches top side test targets to your specification and needs. The Signature Series pneumatic drive fixture is the industry standard for precision, accuracy and repeatability. 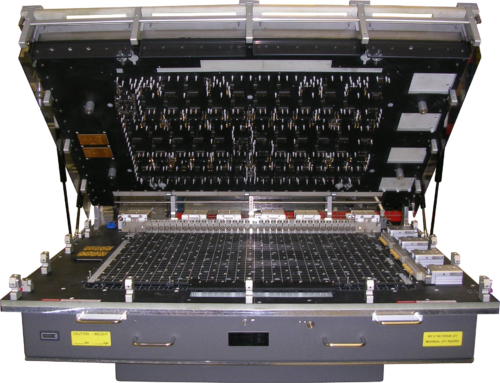 Today’s fifth generation Pneumatic drive supports as many as 8000 test probes and probe center-line spacing’s supported down to 25 mil, and contacting test pad sizes as small as 016”. The Pinnacle Vacuum Box was designed exclusively to take advantage our our patented Auto Align technologies, while increasing the “Z” axis travel. This allowed the UUT’s support structure to better keep the UUT flat during it’s actuation cycle. A patented vacuum alternative was introduced with the Performance Grade product line which incorporates attributes of the Pinnacle pneumatic drive fixture. 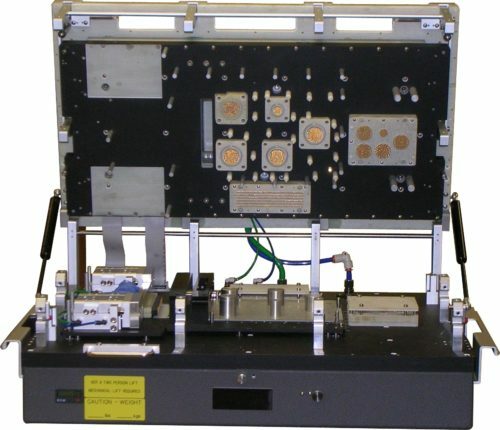 This vacuum box uses Circuit Check’s Auto Align technology to accurately register the top side probes with the bottom side probes for repeatedly. 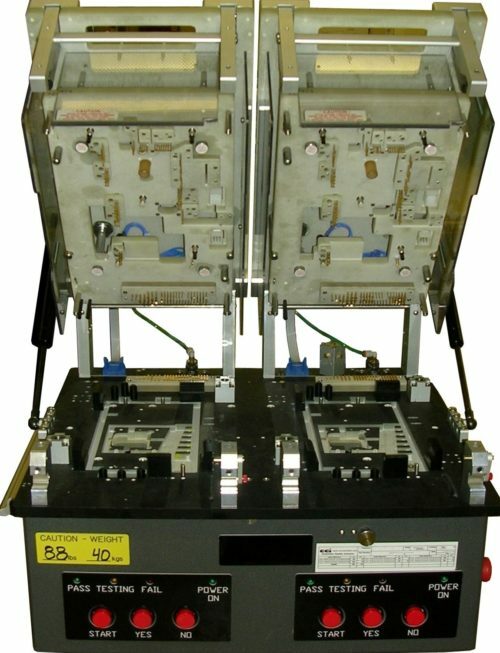 Top side test pads down to 0.018″ can be contacted, while bottom side test pads of 0.016″ are supported. The Auto Align design is protected by US Patent 8,004,300 and 8,692,569. This is the same vacuum box that is now used with the Circuit Check Dual Check 2.0 Bi-Level fixtures. 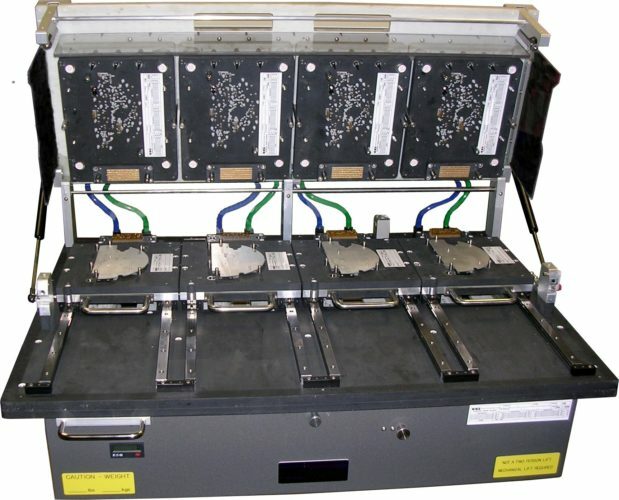 For less complex and lower density boards a Clam Shell topside probing unit is available in our Value Line. This lower cost alternative easily contacts top side test pads of 0.024″ in diameter and is extremely reliable for less complex circuit boards.